A number of older driver interventions will be showcased during the inaugural Older Road User Conference in London later this year. The Older Road User Conference is being jointly organised by Road Safety GB in partnership with New View Consultants and the RAC Foundation, in association with the headline sponsor Satsafe. The event is being held at the Royal Automobile Club’s prestigious Pall Mall Clubhouse in central London on 19 September. The agenda is well advanced with 17 confirmed speakers, and around 100 people have already registered to attend the event. The final session of the event, titled ‘Older drivers – interventions’, will feature five presentations from Rob Heard, June Howlett, Jean Hunt, Ian Edwards and Fiona Fylan. Sergeant Rob Heard is the founder and chairperson of the Older Drivers Forum and the road safety sergeant for Hampshire and Thames Valley Police. Rob’s presentation will look at why he set up the Older Drivers Forum in 2013 and how it helps and supports mature motorists – along with concerned family members and medical practitioners – in order to help them carry on driving safely for longer, and prepare for when it is time to retire from driving. June Howlett joined Buckinghamshire Council in 2002 and is responsible for the delivery of road safety education, training and publicity across the county – including Buckinghamshire’s Mature Driver Assessments. June’s presentation will outline how this mature driver scheme was developed, and the scheme’s overarching aim which is to support drivers to continue driving safely for longer. Jean Hunt, principal highway safety officer at Sefton Council has been involved in road safety for more than 25 years. Jean chairs the Merseyside Senior Road Safety Officers Group (Mersog) and is a member of the Merseyside Road Safety Partnership (MRSP). She was asked by MRSP to lead on the development of the Drive Safely for Longer Scheme across Merseyside. Jean will discuss the scheme, which is a two-hour course delivered by approved driving instructors (ADIS) to help enhance the practical skills of drivers aged 65 years and over. Ian Edwards, New View Consultants, is an independent road safety consultant who has developed and delivers a number of of Road Safety GB Academy’s training courses, including the Foundation and Behavioural Change courses. Ian’s presentation will review some outcomes from evaluations of two older driver interventions and highlight the difference between assessment and education. Dr Fiona Fylan is a health psychologist who specialises in understanding the decisions that people make that affect their health and wellbeing, and how to help people make more appropriate or less risky decisions. Fiona’s research addresses a wide range of health-related behaviours and focuses on road user behaviour. Fiona’s presentation will focus on Driving Safer for Longer, a theory-led, evidence-based intervention developed by Dyfed Powys Police and their road safety partners. Fiona has conducted a randomised controlled trial to identify the effect of the course on beliefs about driving, self-reported confidence, difficulty and avoidance of different driving situations. The trial involves more than 60 people over the age of 60 years. In this presentation Fiona will explore the results of the trial and discuss the extent to which short interventions can produce a lasting behaviour change. The delegate fee for Road Safety GB and Academy members is £150. For other attendees from the public sector, third sector and academia the fee is £175 and for other attendees £225 (all prices plus VAT). The delegate fee covers all refreshments, including lunch. Click here to register to attend. 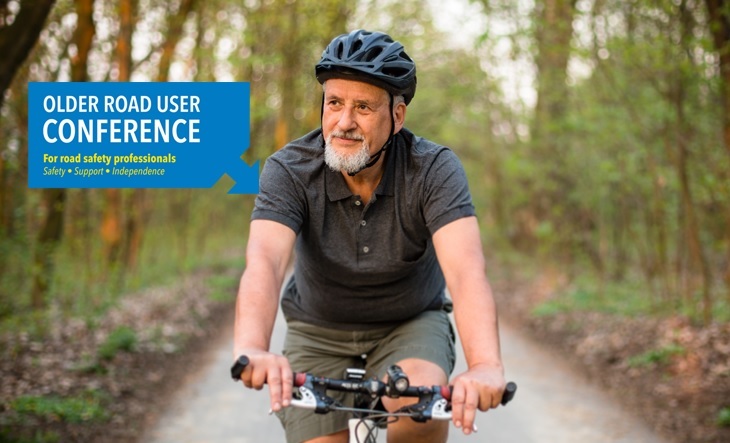 For more information about the Older Road User Conference contact either Sally Bartrum (delegate registration) or Nick Rawlings (agenda, exhibition and sponsorship). Both are available on 01379 650112.